Mick Cornett is now serving his third term as mayor of Oklahoma City. 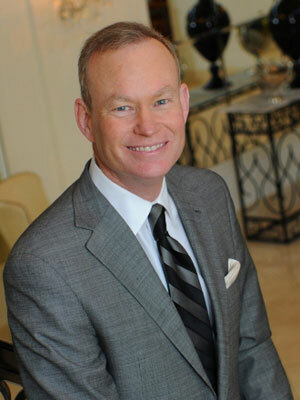 Cornett, the national president of the organization representing Republican Mayors and Local Officials (RMLO), was named public official of the year by Governing Magazine in 2010. Cornett was the featured guest of First Lady Michelle Obama at the State of Union in large part because he put Oklahoma City “on a diet” in 2007, challenging citizens to lose a collective one-million pounds. The goal was reached in January 2012. More than 47,000 residents logged their weight loss on the awareness campaign’s website. In The Huffington Post you wrote that twenty-five years ago few companies wanted to come to Oklahoma City because of the lack of amenities. The quality of life wasn’t viewed as great, so you decided to do something about it. What did you understand to be the absolutely necessary pieces in improving quality of life? What was Oklahoma missing? We had established low standards for ourselves. We had considered ourselves a good place to live and a nice place to raise a family, but I don’t think any of us would have maintained that it was a great place to visit. It wasn’t the city where you invited your family and friends from other parts of the country to come visit. We didn’t have a city worth showing off. When we started about 20 years ago on this track to create some amenities we were not only proud of but that we create a city worth showing off, a lot of it was just raising the standards for what was acceptable. That included a lot of big projects like building a new ball park and sports arena and putting money into our performing arts center. But there was also water projects and beautification projects along the way — putting a canal through our entertainment district and building dams to actually put a stable body of water into our river. There were a lot of things people who lived in Oklahoma City had just never really considered. We decided to invest in ourselves. Even if no one moved here and created jobs, we’d at least have a better place for us. That was the thinking initially. It’s evolved quite a bit since then. Since 1993, to finance your MAPS initiatives, which are viewed as a really innovative model for how cities can change themselves with their own money, you used a limited penny tax passed, which you have used to raise more than a billion for local projects. How did the penny tax come about? The mayor at the time was named Ron Norick. We had been successful in passing some sales tax increases for economic development projects. Now for the most part those projects never came to fruition so the tax was never collected. Nonetheless, he noted that our citizens were willing to invest in themselves for something better. We were trying to kick start a really gloomy economy. The decade of the 1980s was just a horrible time in the state of Oklahoma and a pretty gloomy time in Oklahoma City. The first MAPS project took aim at revitalizing Oklahoma City’s downtown. With some $350 million locally-raised funds, the city built a new canal riverfront development zone, ballpark, music hall, and convention center. 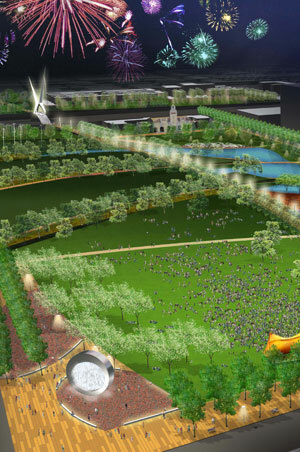 A huge new park is coming to complement a revamped botanic garden. Why focus on the downtown first? Why was that the priority? Fundamentally, most people in your city care about two things: They care about their neighborhood and their downtown. A city gets its identity from its core. 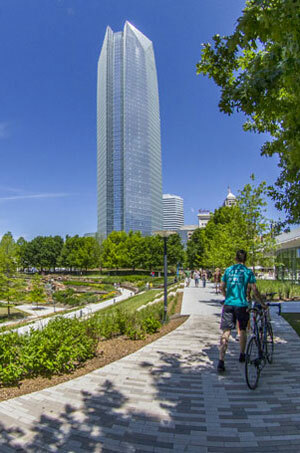 One of the reasons Oklahoma City succeeded, now looking back 20 years, is that we convinced people who live in the suburbs that the quality of life downtown is important. We’ve convinced them their quality of life is directly related to the intensity of the core, that you can’t be a suburb of nothing. A new set of $777 million in investments will create a new downtown park and riverfront recreation opportunities, build out a street car system, expand sidewalks and biking trails, and create new senior wellness centers. 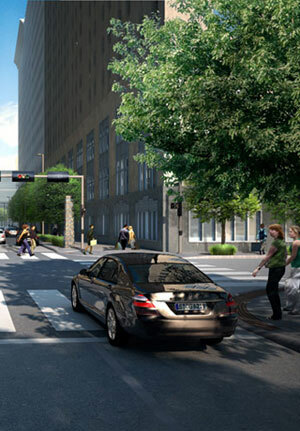 Another $180 million was raised just to redesign downtown streets. These projects seemed designed to improve the quality of life for locals as much to draw in further private sector investment. But what do you hope to accomplish with the new projects? How are you defining success? If we’re creating a city that our kids and our grandkids are going to want to choose to live. In the 1980s when my contemporaries and I came of age, there weren’t that many good jobs available. Most people who got an advanced degree had to leave Oklahoma City. We lost a generation of leadership. To a certain extent, some of those people are coming back now. Are you working with landscape architects on these projects? Also, have any designers really influenced your thinking on how to design successful public spaces? 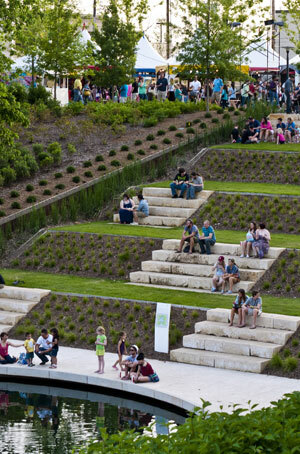 What do you hope to accomplish with these new public spaces? What we’ve learned is that there wasn’t a lack of enlightenment either at City Hall or in the business community. 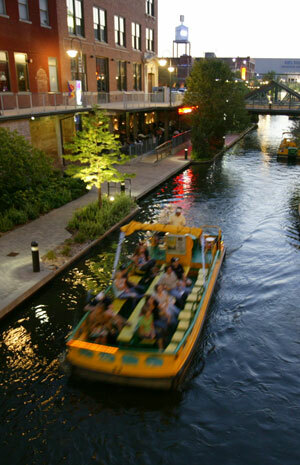 We had just never prioritized the landscape architecture that can really help beautify a project or a city. You say that the MAPS projects have yielded $5 billion in private sector investment, much of that in new real estate. With increased residential investment and improved transit and these nice new sidewalks, are you concerned about affordability downtown? How has the population changed since private sector investment has taken off? There’s great demand downtown. We’ve had so little downtown housing for years. The affordability is an issue, but that’s based on the idea that it almost has to be new construction. Most of the opportunity to live downtown is brand new construction, which costs more. So we are seeing price ranges that are higher than we would like. I’m somewhat concerned about that but I think over time it will start to take care of itself. What are your views on the federal debate on transportation enhancements, federal financing for bicycling and pedestrian infrastructure? The senators from Oklahoma seem to be very opposed to federal support for these measures. Has Oklahoma City ever benefited from transportation enhancement funding? Well, sure we have and, you know, I’m all for walkability and a more pedestrian-friendly environment. I am for as many of those decisions that can be made locally as possible. Lastly, you famously put Oklahoma City “on a diet” and recently that initiative hit a benchmark: 1 million pounds lost. Why do you think the campaign took off like it did? How are you connecting your weight loss campaign now to the new park projects, the walking and biking infrastructure? The new prioritization on obesity here in Oklahoma City was really just a reflection on the idea that we have higher and higher standards. What I noted when I launched the campaign was we were putting higher standards on seemingly everything — except us. We really needed to put higher standards on our health and our children so the campaign was really just an attempt to get a conversation going. pleasant for me to come here and visit more often. Did you hire out a designer to create your theme? Exceptional work!